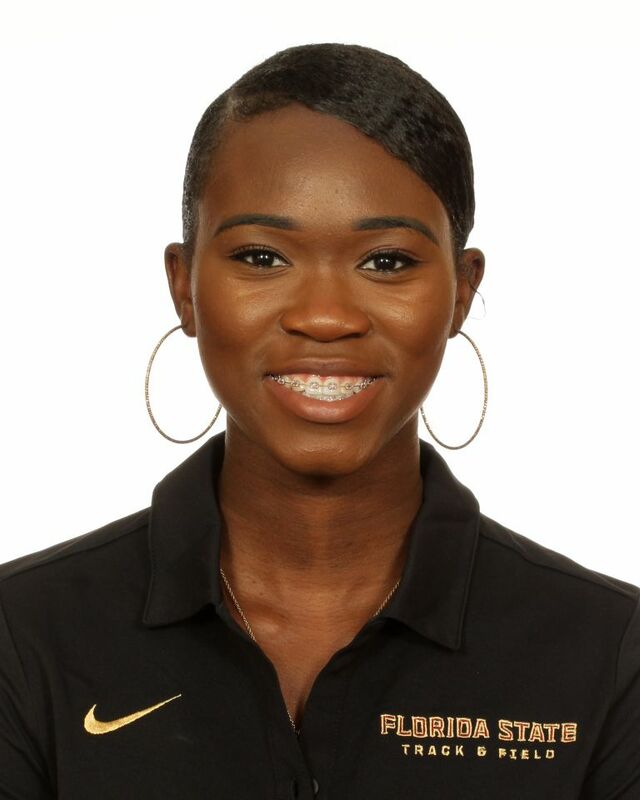 Third-year member of the program who has transitioned to sprints after starting career as a hurdler…member of both the 4×100 and 4×400 relay pools…established new collegiate-bests in the 200 and 400 indoors and the 100 and 400 outdoors. Indoor: Competed in five meets…set new collegiate-best performances in the 400 at the Razorback Invitational (56.56) and the 200 at the Tyson Invitational (24.83)…also ran on 4×400 at the ACC Indoor Championships where the Noles captured the team title. Outdoor: Limited to four meets during the season…dropped a collegiate-best 12.09 for seventh in the 100 at the Seminole Twilight…followed up at the ACC Outdoor Championships with her fastest 400 (56.48) as a Seminole. Indoor: Competed in five meets, focusing primarily on the 200 and 400…highlight came at the ACC Indoor Championships where she contributed a 400-meter leg to the Noles’ fourth-place Distance Medley Relay. Outdoor: Saw action in seven meets…competed in the 400-meter hurdles five times with collegiate-best (1:03.44) coming at Florida Relays…contributed regularly to the 4×400, including at the ACC Outdoor Championships. Four-year member of the Winter Springs track & field where she was coached by former Seminole All-American Ocky Clark…placed fourth in the 300 hurdles and fifth in the 100 at the 2016 4A state meet…was silver medalist in 300 hurdles at 2015 meet…owns personal-bests of 11.92 (100), 24.33 (200), 41.73 (300 hurdles) and 56.14 (400) and school records in five individual events and three relays…also competed in cross country, weight lifting and cheerleading in high school…majoring in criminology…born April 24, 1997.